2017 was a year of disappointment for Tommy Langford. He suffered his first career loss at the hands of Avtandil Khurtsidze which ended his chance of fighting Billy Joe Saunders for the WBO world title. The Russian dropped and halted Langford 27 seconds into the fifth round. 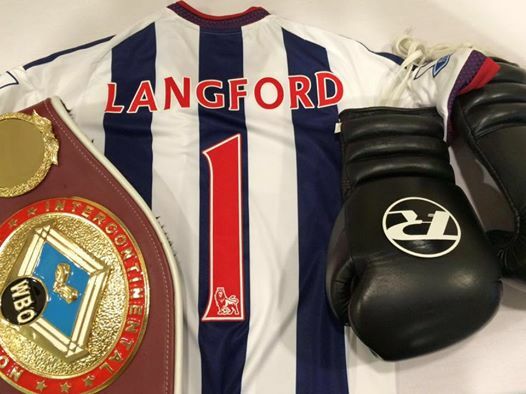 To add to that year, his dad was battling cancer in what must have been a tough year for the Langford family. But there was some good news. The birth of his daughter, Mila Langford, who was born on December 30. “Just crap to be honest, 2017, glad to see the back of it in all honesty. Didn’t get the number of fights I wanted. The big fight I had, I wasn’t successful which was a disappointment to start with. “I wanted to defend my British title and I didn’t do that – I was ready. I wasn’t injured and I was in the gym always going hard. “He [Avtandil Khurtsidze] wasn’t better than I expected. I didn’t think he was a great boxer: he wasn’t a great boxer. I was out boxing him. I was beating him up to the point when it was stopped. “In fairness I understand what people say about levels now in terms of the difference in world level and British level. I jumped up to world level believing I had the ability to deal with him. Technically I did and physically I did, but mentally I wasn’t disciplined enough and I hadn’t had the experiences that are very important at that level. “I didn’t need to throw that volume of punches I threw that night and ultimately that’s what let me down. I threw one too many in a combination and got caught with a big left hook. “He was very disciplined – all he wanted to look for was that left hook. He knew that was his cherry punch, he knew that’s what he had to land. He didn’t panic at all when he was losing on points, he didn’t panic about anything, and he just went about his business and landed the shot – got to give him credit for that.